Fun set of mini labels to add the month or day of the week to your layouts. This is a fun, clear font that is easy to read. 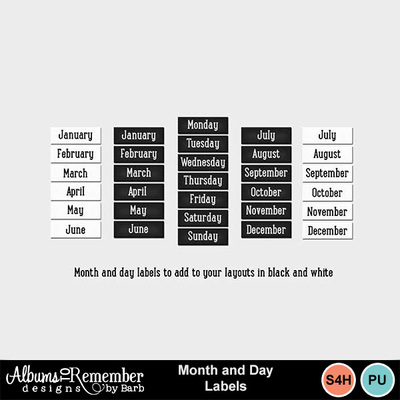 Labels come in black with white writing and white with black writing.